Kristen Laine has been writing this blog since May 2009, and I’ve been happily editing it. Behind the scenes, we have enjoyed long conversations about raising kids, but readers have heard only her voice. This year, Kristen and I have decided to share the blog, alternating posts from our somewhat different perspectives—Kristen living in a house in the country and raising older kids, me in a city apartment with a toddler. You’ll still hear a great deal about Kristen and her family, and the pleasures and challenges of their rural life in New Hampshire, but you’ll also hear from me about getting outside as a family around greater Boston. 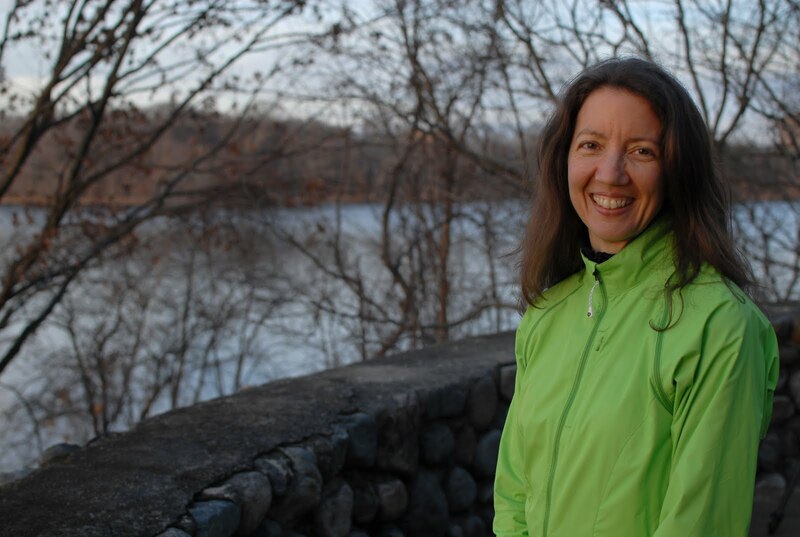 Given my role as publisher at the Appalachian Mountain Club, I’ll also be posting information about what’s going on at AMC, from special opportunities for families to program news. Of course, as soon as I agreed to share the blog with Kristen, I wondered what I was thinking. As a mother who works full-time, I sometimes feel challenged to get outside with my family at all, let alone write about the experience. But I’m hoping that adding my voice to this forum will help inspire others and give me fresh ideas. So please, let me—and Kristen—know your questions and suggestions as we try this new experiment in 2012. And if you’re curious about the photos of me, both the one at the top of this post and the one with my bio on the blog were taken at Fresh Pond in Cambridge, Mass., earlier this week by my friend Lynda Banzi Sponholtz, an AMC member. That was before the weather turned cold again! “Great Kids, Great Outdoors” is an AMC Outdoors blog, written by Kristen Laine and Heather Stephenson.